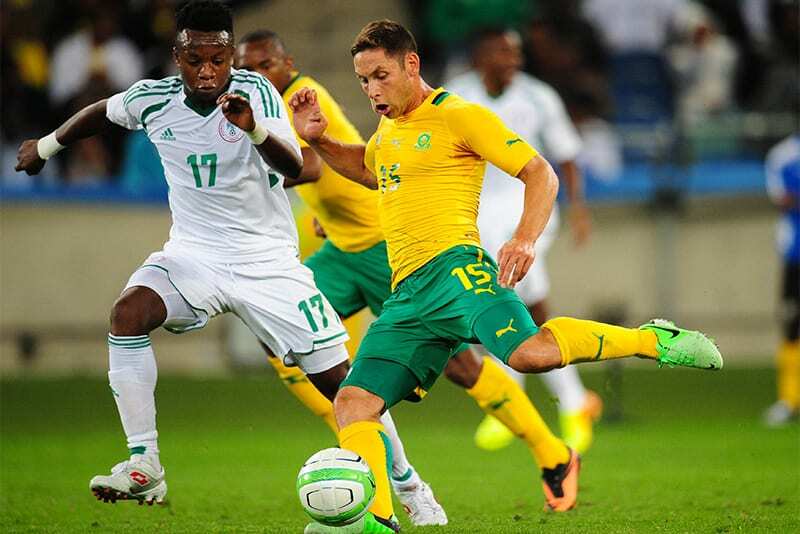 The South Africa national football team will play host to Nigeria on Saturday afternoon in Match Week 5 of the 2019 Africa Cup of Nations qualifiers. The encounter will be the penultimate match of the group qualifiers, with both sides fancying their chances of finishing at the summit of Group E.
The Super Eagles of Nigeria currently led the log on nine points having collected three wins and a loss in their first four opening matches. Their last victory by and large proved to be their hardest, as they needed a late goal by Odion Ighalo to secure maximum points against a resolute Libyan side. Find and bet with the best Nigerian online bookmakers here. 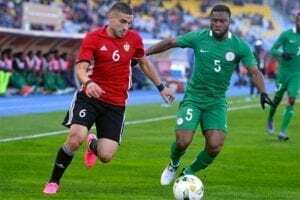 Nigeria won emphatically when they welcomed Libya in their first match during October’s edition of the international break, as they blitzed past the Mediterranean Knights with a 4-0 victory at the Ahmadu Bello Stadium. The West Africans looked poised to maintain the same rich vein of form during the reverse fixture three days later, as they went ahead moments before the quarter of an hour mark through Odion Ighalo. Ahmed Musa, having run himself into traffic on the left flank, passed the ball to Alex Iwobi, who in turn returned the favor with an inch perfect pass that sliced through the Libyan defense. Seeing as he had marginally beaten the offside trap, Musa selflessly passed the ball to Ighalo who only needed a tap in to put the Super Eagles ahead. The attacking duo once again came to the fore; with Ighalo turning provider this time round by setting up Musa with a short pass right on the edge of the penalty area. Despite being swiftly closed down by four Libya defenders, the Al-Nassr forward wriggled his way out of danger before setting up a two goal cushion, just three minutes after their opening salvo. The Super Eagles however let their guard down in the ensuing minutes, as Mohamed Zubya forced a header into the near post to halve the deficit ten minutes before the break. With something to build on, the Mediterranean Knights kept chasing for the equalizer after the break; one which they found in the 74th minute through Ahmad Benali. Despite goalkeeper Francis Uzoh stopping the initial shot, the Niaja defence failed to clear their lines, allowing Benali to restore parity with a low drive. Libyan hearts were however shattered nine minutes before the final whistle, as Ighalo scored his second of the evening to seal three vital points for the Super Eagles. 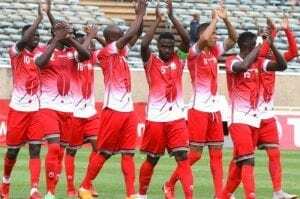 South Africa on the other had could afford registering a barren draw with Seychelles last month, as the result was enough to retain their place in second on eight points; a meager point behind leaders Nigeria. Nigeria fell to a surprise 2-0 defeat at home against South Africa in June last year, but the Super Eagles have had a revival of their fortunes since appointing German manager Gernot Rohr a little over a year ago. Seychelles are assuredly out of the qualification race seeing as they have only collected a point in their first four matches. Third placed Libya, on three points, could still book their ticket to Cameroon if they win their last two matches against Libya and South Africa-albeit with the hope that the Bafana Bafana lose to Nigeria this weekend. That is however increasingly unlikely as Nigeria and South Africa, the two most dominant sides in the group, look destined to qualify for next year’s Africa Cup of Nations. Nigeria would savor revenge against South Africa, but we think South Africa may prevail in a high-scoring affair.